writing letters and keeping touch with friends and relatives which fits right in with the stamping hobby. I started out with an interest in floral stamps then added nautical and seasonal stamps and so it went. A few months ago I began to see the beauty in the Asian cards posted on the Internet. I have been getting unmounted Asian designs and experimenting with them. I find that I have to work at this new style…still not sure I have it right. I’m working on colors and getting the layout just right or the balance. It is getting a wee bit easier but will still take much practice. Meanwhile, I’m truly enjoying this new direction. I was born, raised, educated, and married in Oregon. I taught school in my hometown for a number of years. We left there in the late 70’s and began a different lifestyle. We’ve lived in four states and done many ‘behind the scenes’ jobs for different Christian ministries. This has been a very rewarding way of life. I belong to a group of stampers between the ages of 50 and 100. This group has been an excellent one for sharing stamping ideas/techniques. They are also a great support group for when we begin experiencing the ups and downs of growing older. Having this card/letter exchange going on has helped me get lots of stamping practice and made me many friends. Now I look forward to being a part of this OSA group, making new friends and learning much from the many talented members. I was born in Ft Worth Texas and stayed there for 20 years until I joined the Navy in 2006 then settled in Charleston SC where I was stationed with my 2 boys in 1980. Met my hubby Bill who was also active duty got out after serving 8 years active duty while hubby Bill retired and we have been here ever since! Around 7 or 8 years but I just got active again after about 4 years off. I saw some great things at Michael’s when I worked there and of course had to get into it the rest is history it! It is so addictive. Favorite things about stamping ? You never get bored! There is always something new to learn and you meet up with some great folks online to share everything with. I am a decorative artist and have been teaching it for many years, my mother was an artist and concentrated on porcelain and ceramics so that is what I grew up around. She could do anything I swear! I got my love of teaching from her. I think she would have loved delving into the paper arts. I am married to a wonderful man we have been together for 24 years legal. Raised 2 boys and have 4 grands ages 9 months to 9 yr’s. I have taught Decorative Painting and am the One Stroke Teacher at AC Moore Crafts in North Charleston SC fro almost 4 years now and am tickled I get get to see the new stamping things when they come in yeah! When I saw OSA on the web I was so excited there is so much to learn and so many great folks here! I have joined several stamp groups now and love them all. I have been taking part in some swaps and look forward to taking part in many more. Married 23 years to Ron, with 2 grown boys . I started stamping a few years ago, in the summer of 2002. My favourite techniques are punching and stamping, layering, glossy paper and dye inks. Day Job: Special Education Assistant. CUPE Activist. Reason to stamp: I find it very important to get inside myself , have some quiet time, and release my creativity. It is very good down time, and good time for me to reflect on life. Curiousity initially got me interested in stamping. There was a little shop called ‘Woodstock’ that sold PSX stamps in Sydney, Australia – I used to pass it all the time, not really knowing what it was all about then one day I wandered in. That was in 2001, and the rest, as they say is history! I know unmounted rubber is where it’s at – but I still love those old wood mounted stamps! I’m also very partial to my versamark inkpad, and love working with vellum. Sending RAKs. I love stamping with a person in mind – even if I don’t know them. I go to the RAK list, pick 5 names and then create. Usually variations on a theme – but I try to work in the recipient’s favourite colour or style. I like working to a brief! I am an actress-turned-arts writer. After a lifetime of working in the theatre in England, I moved to Australia and headed the arts and entertainment forum at monster.com.au. From there I was commissioned to write a book on the performing arts and entertainment industry in Australia and now write for Arts Hub. I’m now back in England and having a career rethink…so watch this space! I’m also married to the gorgeous Brett and we’re currently enjoying London lifestyle after enjoying the Sydney one – a perk of a mixed nationality marriage! pads… and that was it, I was hooked, big time! I’ve never been to any class, and no, I haven’t counted my stamps, I wouldn’t dare! All I know is that I’m always running out of space to store them. I found OSA totally by accident and joining was the best thing I’ve ever done. I used to work in computer science (not an artistic background at all – in fact I can’t draw or paint!) but since we moved from Belgium to England in 1981, I’ve been at stay-at-home mum. My husband is Dutch, we’ve been married for 30 years and we have 5 kids -4 boys and 1 girl- and no grandkids yet. I began stamping about 9 years ago. I got the idea from Aileene’s Creative Living television show that was on every day. I have always been into some kind of “crafts” but wasn’t very good at drawing or painting pictures. Wanted to though so rubberstamps seemed the perfect way to get creative with paper. I got my first stamps from Commotion and Embossing Arts catalogues. As stamping became more popular I found more resources and the rest as they say is history. I don’t have a favorite technique: I love learning new ways to use what I have and what I know. My least favorite techniques are those like embossing and the use of glitter that make what I call the never ending mess. I love doing new projects, altered books, bookbinding, box making, collage, making pins, I even made a cigar box purse and wore it to a wedding. Most recently I have been playing with fabric and beads. I am an admitted packrat and could probably keep going for the rest of my days with what I already own. Just wish they would stop making new things for me to buy. Paper is my most favorite thing and always has been. Oriental art has always attracted me for its simple elegance. When I found the first oriental stamps (about 5 years ago) I was in heaven and I have stayed up there all this time. OSA is the frosting on that cake. I remember when I first joined this list I was so intimidated I couldn’t even post a message. Thank goodness I didn’t run away. The people that I have met on the internet have become a really big part of my life. 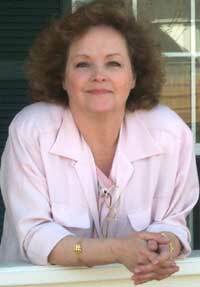 In 1999 I was diagnosed with fibromyalgia and two years ago was forced to retire. This disease controls my life now. It is rubber stamping that has kept me sane and the internet that has allowed me to remain a social being. I am grateful every day for these two things. Having relationships with people who understand the need to be creative is such a gift. And if that wasn’t enough there are even people who care about you. Rubber stamping and the like keep the stress level down so I make sure not to go too long without working on something. I live in MA with my husband, of 1 year, we had been together for 13 years. I have two grown children and two grandchildren and we all live in close proximity to each other. I also have a step-daughter who lives within half-hour. DH and I would like to move to a quieter place, but it can’t be too far as we value the time we spend with our family so much that we would be lonely. I’ve been stamping around ten years. Mt sister-in-law in California got me started. We started out with some money and hit all the stores we could find until we spent the cash I brought! I live in a small town where there isnt much access to stamping supplies etc. so I joined some stamping clubs on the interent, a few didn’t work out so a good friend told me about OSA so here I am. Papers are one of my favorites and I have a hard time using some of them, just love that paper. I like using chalks, tassles, stickers and all types of emblishments. I have quite a big collection now of oreiental UM stamps. I love all types of stamping, stamp companies and colors. retire, yipee, more time to stamp then. I have always crafted. I am married to the same man of 34 years. We have no children. We have a dog, Max. My husband thinks I’m the inventory specialist for all the craft stores where we live. I believe he’s right. My work history was in the corporate world until my health became an issue. Once I became homebound, my crafting seized along with everything else. Now that I am feeling better and want to take on new challenges, I have found Yahoo Groups to fill a void that was making me very miserable. Now, I have a very different look at things. I look forward to learning and sharing with all of you in this group. My name is Fran C., 57, happily married for 20 years, no children, a multiple cancer survivor, and “wheelchair chick”. I’m in Braintree, Massachusetts, USA, which is about 13 miles south of Boston. I’ve been rubber stamping and doing all sorts of crafts, paper and otherwise, for a very long time. “My style” with rubberstamping is fairly simple and I don’t consciously follow the trends in rubberstamping. Heaven knows that I have bought it all and tried it all! LOL! I like to combine computer with rubberstamping and write my own verses and haiku (born of necessity), or add pertinent quotes. I’m a certified stenciler and use that skill from time to time. I’ve always enjoyed Asian art, decor, and culture. One of the benefits of belonging to OSA is the opportunity to learn more about Asian culture and to meet some wonderful and talented people! 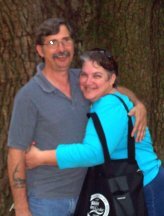 Owner, Hearts In Touch Rubber Stamps, Inc.
I’ve been happily married for 25 years to Jim Naeve, a wonderful man who supports me in all I do. He does my website as he has time. I have 4 children and 12 grand children. I’ve always enjoyed art and have been rubber stamping approx. 12 years. I started my business by drawing images for other companies about 4 years ago. Then I decided to start my own company and have been enjoying it for the past 3 years. I’ve made many friends over the internet and I value that most of all.